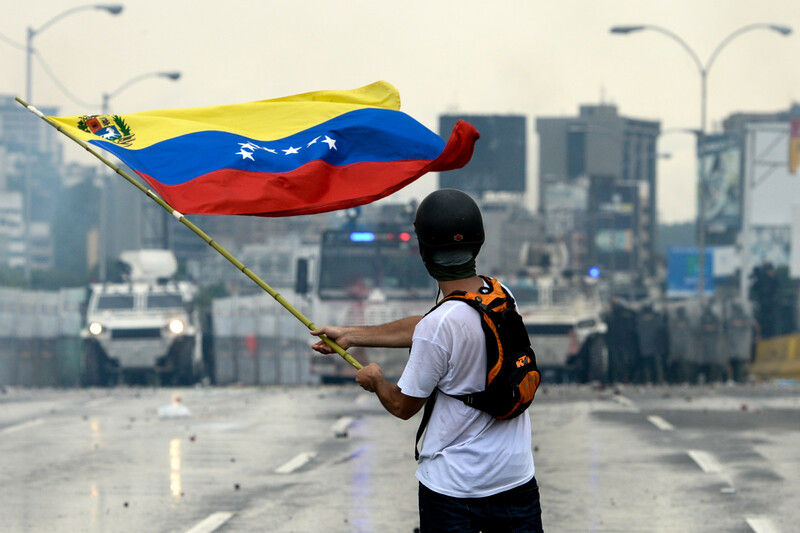 What's Behind the Political Unrest in Venezuela? Bombastic politicians, international isolation, and an over-dependence on oil have led the Maduro government to a point of no return. A Venezuelan opposition demonstrator waves a flag at the riot police in a clash during a protest against President Nicolas Maduro on May 8th, 2017. Supermarkets shelves in Venezuela are empty. Hundreds of people wait in line for hours to try to purchase basic needs. The government assigns people days on which they&apos;re allowed to shop. Violent crime in Caracas has reached unprecedented levels, as the death toll from constant protesting soars into the hundreds. And now, this week, the country&apos;s leading opposition parties have announced that they&apos;re boycotting December&apos;s municipal elections. This is the current situation in the large, middle-income country, which has been in the throes of economic and political collapse for the past two years. The politicized military and police forces, sworn to defend the socialist Bolivarian Revolution, brutally suppress protests. 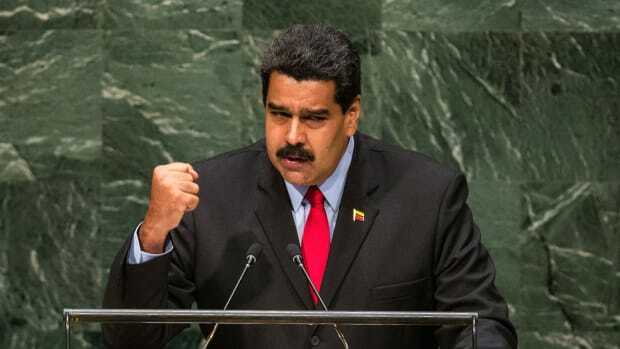 The government blames the opposition for igniting violence, and it speaks of a conspiracy by the "empire" and the "oligarchy" to bring down the socialist regime. Venezuela, in short, has fallen apart. But why? It&apos;s easy, perhaps, to argue that Venezuela&apos;s unrest isn&apos;t all that unique—that it&apos;s facing the sorts of economic and political crises shared by most, if not all, countries in Latin America. That, however, would be rash, given that some of the factors fueling Venezuela&apos;s implosion are unique, and, together, they&apos;ve sparked at this moment in time to set off a powder keg. Observers point out that Chavez ruled with a democratic façade for over a decade, providing critical but unsustainable social programs financed by high revenues yielded from oil exports. His criticism of the United States, amicable relationship with Cuba, and desire to expand his socialist revolution to the rest of Latin America elevated him to messianic proportions. Yet to think that Venezuela&apos;s collapse is due solely to the populism of Chavez—or, since 2013, of Nicolas Maduro, his heir—would be inaccurate. Other, crosshatching factors are at play too. For one, Venezuela is unique among Latin American countries in that it sits on some of the largest oil fields in the world. It&apos;s enjoyed the riches of oil production, but has, in turn, also become dependent on them. With skyrocketing oil prices in the early 2000s, Chavez was able to finance expensive social programs to bolster his popularity and concentrate power around himself. As the price of oil grew, the socialist government began to politicize the national oil company PDVSA, filling it with party followers. Through terrible mismanagement and corruption, the Venezuelan oil industry saw a massive brain drain, which debilitated its efficiency and production capacity. In addition to money from oil exports, the rising price of oil allowed the government to borrow heavily and increase government spending. To fight inflation, it imposed price controls and import controls. Yet when the oil prices started to fall, borrowing from other nations, especially China, was the only way to continue the social programs that came with it. With these plummeting prices, Venezuela has run out of foreign currency to import basic necessities, and massive inflation has made the Venezuelan Bolivar practically worthless. The erosion of democratic institutions—such as political parties, other branches of government, the press, and even the armed forces—has also mattered, and greatly. Chavez modified the constitution to increase the length of presidential terms and to allow for re-election. He also re-organized the legislative branch into a single chamber instead of two, and continued to increase his political influence through patronage, which allowed him to pass laws by presidential decree. This was especially on display when it came to restricting the liberties of Chavez&apos;s opponents. Whereas before the chavista Supreme Court simply blocked any attempts to reform that came out of the opposition-held national assembly, now the legislative branch has been stripped of all of its power and replaced by a parallel legislative body loyal to the government. And there&apos;s something to be said, too, for political rhetoric. Neither Chavez nor Maduro ever promised "socialist reforms," but, rather, "socialist revolution." Revolutions are longer, more violent, and justify more suffering. The current government claims that the struggle to remove the historically corrupt and powerful American-loving bourgeoisie from the political map is long and hard. Under this populist rhetoric, supporters are rewarded, the opposition is persecuted, and ordinary citizens are asked to tolerate deprivations as necessary sacrifices for the "revolution." Since Chavez&apos;s death, Maduro has centered a cult of personality around him, even claiming that Chavez occasionally appears to him in the form of a bird to give him strength to carry on. The Venezuelan crisis has now become so deep that Maduro can&apos;t afford to let go of power, for fear of what the opposition might do to him and his collaborators. The opposition has said that it will remain permanently mobilized in protest, paralyzing the country, until Maduro is gone. International attempts to influence Venezuela&apos;s political trajectory have been many: Maduro and his closest allies&apos; assets have been frozen by the U.S.; Mercosur, the trade bloc made up of South American countries, has suspended Venezuela and called for an immediate political transition; and some governments are appealing to Cuba, one of Venezuela&apos;s last remaining allies, to see if they can, somehow, find a way to mediate and mitigate the crisis. 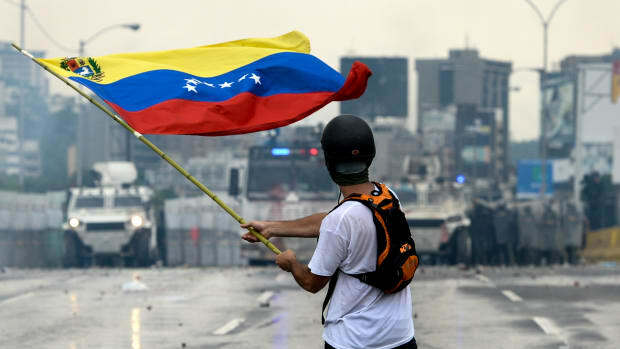 But tensions within Venezuela only continue to escalate, especially in light of the announcement that opposition parties won&apos;t participate in next month&apos;s municipal election as an act of protest. Some opposition leaders claim that Venezuela&apos;s election results are manipulated, and the focus should be on reform of the election board rather than on participation in an already-rigged system—a decision that has caused some contention within the opposition. Venezuelans&apos; tolerance in the face of so much suffering has far exceeded expectations. Indeed, governments have been toppled, and presidents removed, for far less. The violence, scarcity of basic goods, and scope of the crisis is hard to fathom. As journalist Hannah Dreier put it, a common mistake among observers is assuming the end is near because things are worse than they&apos;ve ever been. Hopefully, she&apos;s mistaken. Yet that hope will, ultimately, hinge on bringing Venezuela&apos;s democratic aspirations in line with its devastatingly undemocratic reality. Will Venezuela Be Able to Curb Its Hyperinflation? Nicolás Maduro's government is taking desperate steps to try stop the bleeding in the country's economy. While many are calling for regime change in the embattled country, two foreign policy experts breakdown why Nicolás Maduro may hang on to power for the foreseeable future. 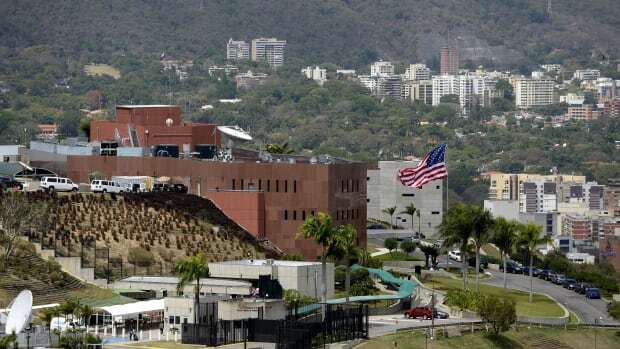 The Last American Diplomats Have Left Venezuela. It's the Lowest Point in 20 Years of Fraught Relations. Diplomatic relationships between Venezuela and the U.S. have been tense for decades, and this is hardly the first time ties have been severed. 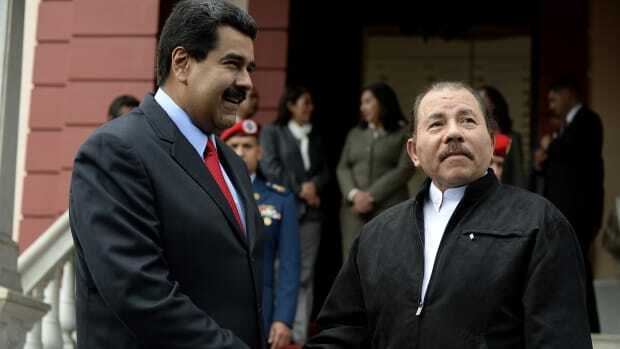 President Daniel Ortega has seen his popularity plummet in conjunction with the economic hardships faced by his most ardent financial supporter. 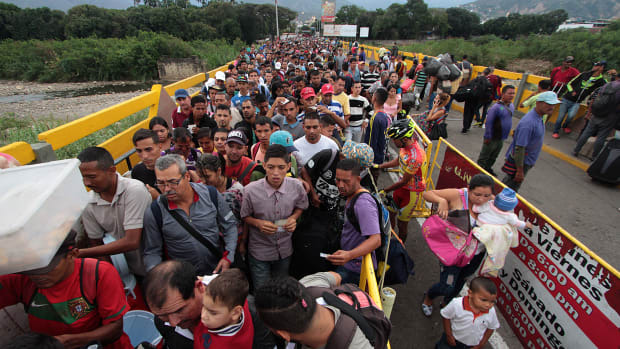 At least 660,000 Venezuelan migrants have fled the country due to internal strife, but they are not finding relief in their neighboring country.